This year, Diwali will be celebrated on October 19th, Thursday. It is one of the major festivals celebrated across India and Indians living across the globe. Diwali celebrations are spread across a period of five days with each day having its own significance and traditional rituals. The celebrations start with 'Dhanteras', the auspicious day on which people buy utensils, silver ware or gold. It is believed that new "Dhan" or some form of precious metal bought on this auspicious day is a sign of good luck and prosperity. Choti Diwali follows next, which involves preparations for the Badi Diwali. People decorate their houses with lights, and hold get-togethers. The next day is celebrated as Badi Diwali, the main festive day which is on 19th October this year. On this day, people perform laxmi puja, visit each other's houses with sweets and gifts and spend time with their family and friends. The day after Diwali is celebrated as Govardhan Puja. This day is also celebrated as Bestu-varsh by the Gujarati community who mark the beginning of a new year. The five-day celebration comes to an end with Bhai Dooj where sisters apply tilak on their brother's forehead and siblings pray for each other's well-being. Thanks for entering our ‘My Australian Diwali’ competition. This competition is now closed. The winner will be contacted in the following week. 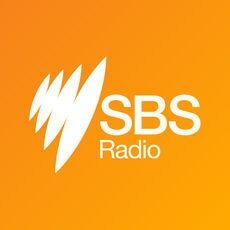 Listen every every program live and on-demand on the FREE SBS Radio app!